The Russian state-owned oil transporting company Transneft has consolidated 60.62% of shares in Novorossiysk Commercial Sea Port (NCSP). According to the company’s press service, Transneft has closed the deal by acquiring 50% of Novoport Holding from Summa Group for USD 750 mln. Novoport Holding is a joint venture, where Transneft and Summa owned 50% each, and which controls 50.1% of NCSP. NCSP is not just one port, it is Russia’s largest port operator managing 8 stevedoring companies. 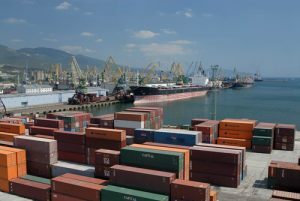 These include terminals in Novorossiysk – NCSP itself (oil, bulk and general cargo, containers), NLE (containers), Novorossiysk Grain Terminal (grain), IPP (bunkers, liquid bulk) – as well as Primorsk Oil terminal (oil, #5 by volumes in Russia) and Baltiysk Stevedoring Company (containers) on the Baltic Sea. In 2017, the consolidated volume of NCSP Group reached 144 mln tonnes, accounting for 18% of the total throughput of the Russian ports. In January-July 2018, the Group’s throughput was 82 mln tonnes, -3.3% y-o-y. Summa Group and Transneft acquired Novoport Holding in 2011 but have been conflicting over the asset since 2013, writes Russian business daily RBC. At that time, Transneft stated that NCSP management did not take into consideration Transneft’s interests and insisted on changing NCSP Chairman Marat Shaydaev (was appointed by Summa) and General Director Rado Antolovich. Finally, Transneft managed to replace them with Maxim Grishanin, the deputy of Transneft’s president Nikolay Tokarev, and Yuri Matvienko, accordingly. But this battle was marked by dirty tricks, such as prosecution of Rado Antolovich on falsified charges of bribery, which made him flee from the country in 2013. In February 2018, Summa agreed to sell its stake in Novoport Holding. The Russian Federal Anti-Monopoly Service already approved the transaction, which was planned to get finalized in March-April. However, the deal’s completion was stopped by the arrest of Summa’s owners – Magomed and Ziyavudin Magomedov on 31 March. 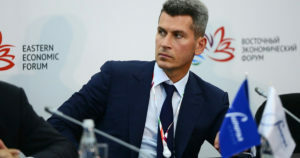 According to Transneft, the negotiations were resumed in late April, now with an authorized representative of Summa Group, which resulted in closing the deal 6 months after the arrest of the Magomedov brothers. Now, Transneft has gained a 60.62% stake in NSCP, as the company also owned 10.5% through its subsidiary Transneft-Service. The remaining owners include the Russian government (20%) and minority shareholders.